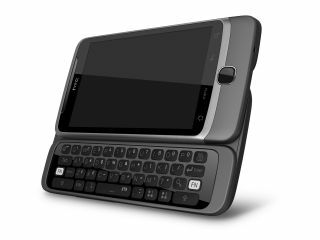 HTC has announced the new HTC Desire Z, the QWERTY-packing brother to the HTC Desire HD. The new phone has a 3.7-inch QVGA screen, 4GB of internal storage and an 800MHz Qualcomm chip powering things along underneath. A 5MP camera with autofocus and flash are also on offer, with Android 2.2 on board from the outset. The hinge on the QWERTY keyboard is specially designed to allow users to hit the top row of keys, as well as programmable keys for things like texting, calling or launching an application whenever you want. The battery is a little smaller than expected at only 1300mAh, but there's 4GB of internal storage to pack in your multimedia, as well as a microSD slot for expansion. It's a thin all-metal device, with dimensions of 119mm x 60.4mm x 14.16mm with a weight of 180g with battery. It's also packing the new HTC Sense UI and HTC Smart Boot, which helps power up your phone quicker and adds in new features and functionality to the user experience. We're still waiting on an HTC Desire Z UK release date and UK price, but stay tuned for our full hands on: HTC Desire Z review coming later today.